This review was written by Nature Canada's writing intern, Gabriel Planas. Accounting for 80 percent of the 1.5 million named species on earth; insects form the backbone of the biodiversity on our planet. I still did not know what a Snakefly was before picking up A Field Guide to Insects of the Pacific Northwest. I was also unaware that the terrifying bug is considered typical in the Pacific Northwest. To combat this lack of knowledge, DR. Robert Cannings created A Field Guide to Insects of the Pacific Northwest in the hopes that it would generate more interest and discussion about insects. [caption id="attachment_36344" align="alignright" width="154"] A Field Guide to Insects of the Pacific Northwest by Dr. Robert Cannings. [/caption] The 8-fold pamphlet features 70 high-quality photos with profiles on over 50 different insects. 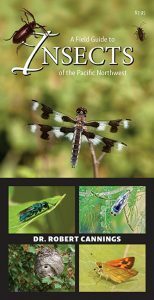 Though the guide is priced at a steep 7.95, it still provides a good way to introduce yourself to the abundant variety of insects you will encounter in the Pacific Northwest. Being a waterproof pamphlet also makes this guide is also perfect for the hiking trails, grasslands or beaches where you may find these tiny wonders. From the introduction, I was learning more than I had ever known about insects. It hooks the reader with a plea to understand the necessity and beauty of insects. The author takes his time to clarify terms like Moulting, metamorphosis, and pupa in stark simplicity to allow the reader to engage with the material in a very casual and personal basis. 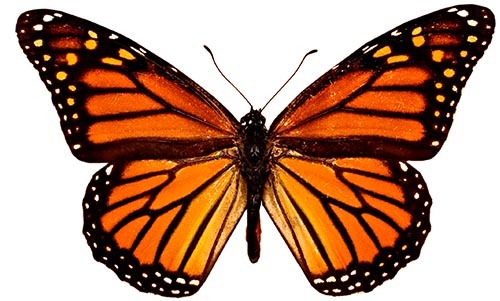 The insect profiles are broken up into 19 major groups of insects, providing a brief look into their behavioral patterns, physical characteristics, and eating habits. Many times, the information provided about the insects was enough to pique my curiosity, while enough facts were left out to present further research not only as appealing but also necessary. At times, this was compelling, such as the profile of the Predaceous Diving Beetle that informed me of the air bubble that forms under the wings that allows them to breath underwater. Other times though I was disappointed with the simplicity of the profiles. Rarely did they reinforce the integral role insects play in the environment, as mentioned in the intro. It also seems like the author missed an opportunity to disclose where and how to find these insects, as they can often be tiny and hard to find. Additionally, with minimal color variation throughout the pamphlet, the 19 groups can often be difficult to differentiate and find. This confusion makes a quick scan for an insect one may see in the wild very difficult, if not impossible. While it could have pushed itself further regarding its content and layout, this guide did an adequate job to increase my knowledge and awareness of insects. Given that this was the goal of the guide, I cannot help but concede that it fulfills its purpose. 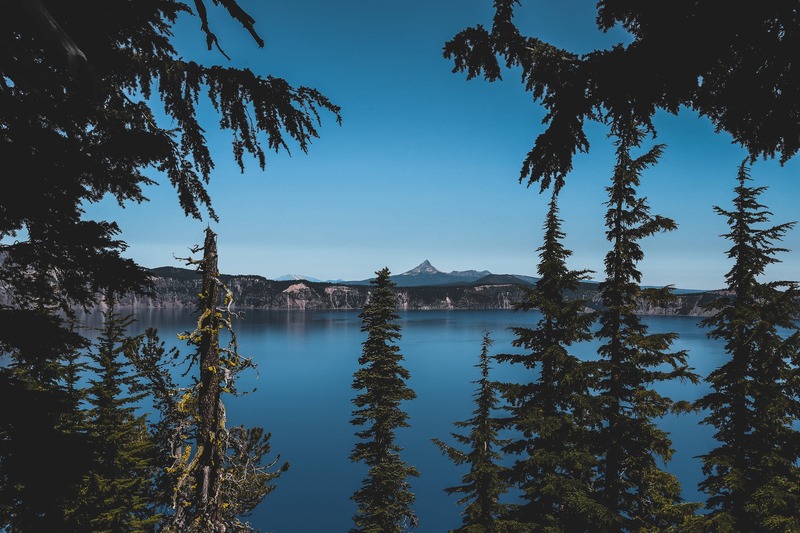 If you are planning to spend time in the Pacific Northwest, this guide can be a fun addition to any other maps and travel guides you may bring with you. Discover more about the nature you love. Having moved to the West Coast of Canada, Caroline Merner was immersed in nature from an early age, and has been so for the entirety of her life. Her childhood spent playing outside with her three sisters grew into a passion for hiking, cycling, and camping. Traveling from the West Coast to the East Coast for her post-secondary studies at Dalhousie University, Caroline completed her Bachelor of Arts with Combined Honours in Sustainability and International Development with a Minor in Spanish. Now, her everyday commute to work is one that might cause envy - a 45-minute bike ride with ocean views that bring her to Stanley Park, Vancouver, where she works at Ocean Wise. Since graduating, Caroline has been inspiring youth with her passion for nature through her work with Parks Canada, Students on Ice, the Canadian Commission for UNESCO, Ocean Wise, and with her non-profit, Climate Guides. Speaking to Caroline was nothing short of inspiring - the combination of her evident and honest love for nature, with her fast-growing list of accomplishments, topped with her passion for engaging with others made me look at my notes and think “Well, this is exactly what nature in Canada needs.” Caroline is a Young Woman for Nature and one of six recipients of the Young Nature Leadership Grant. For Caroline, being a Young Woman for Nature has meant empowering young women, helping them find their connection to nature and harnessing that to share it with others. [caption id="attachment_36356" align="aligncenter" width="832"] Caroline, speaking on a panel at the Vancouver School Board Sustainability Conference, photo by Roozbeh Peykari. [/caption] In October of 2017 Caroline was able to meet the other Young Women for Nature at the Women for Nature reception held on Parliament Hill on October 23, 2017. She mentioned how she left the event feeling inspired by the “cohort of change-makers, of people who want to protect our lands and who are taking amazing strides in the protection of our environment.” Of the experience, Caroline said that “Being a Young Woman for Nature comes with action for those who are connected to nature and want to conserve it. They are naturally sustainability-driven.” And naturally sustainability-driven are three words that begin to provide an appropriate description for how Caroline’s environmental endeavors have been shaping up over the past few years, and have led to her very own non-profit: Climate Guides. 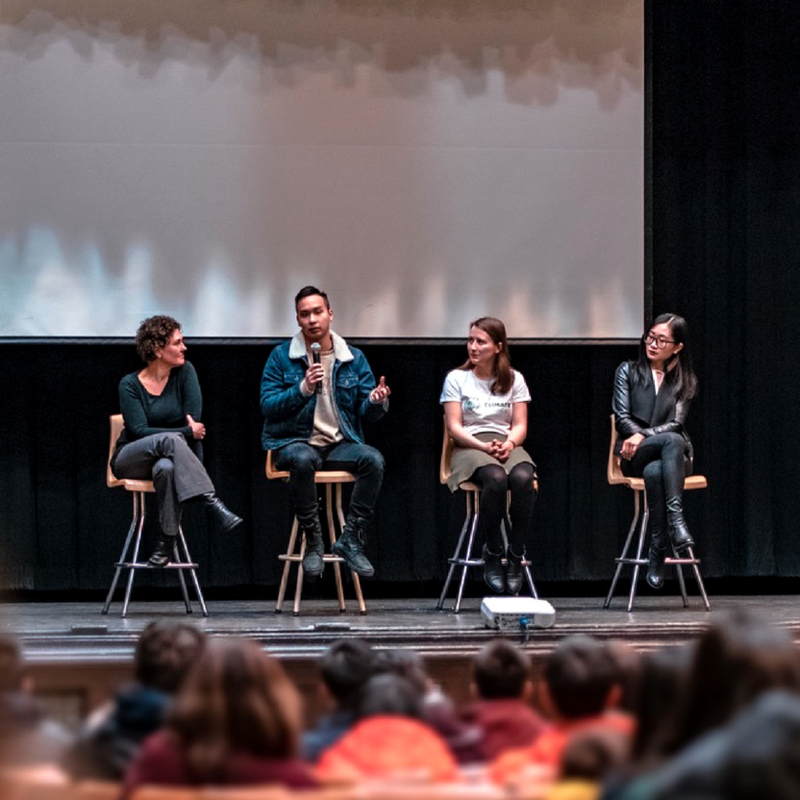 Climate Guides is a mentorship program connecting youth and professionals to address climate change by developing solutions together. Trying to paint a picture for how Climate Guides came to be pulls from various experiences: From a lifetime of hiking and camping, to the completion of a thesis on the psychology of climate change communication, to meeting her co-director Marina Melanidis on an Arctic expedition, to receiving seed funding through the Young Nature Leadership Grant and mentorship from another Woman for Nature - the road to Climate Guides was built on Caroline’s passion for nature and desire to create a community. Caroline stated that “When people start to get involved in this work, they encourage other people to become engaged, wanting to be a connector - that [is] where community happens.” And Climate Guides will be doing just that by giving ten young mentees the opportunity to launch their environmentally inspired projects. 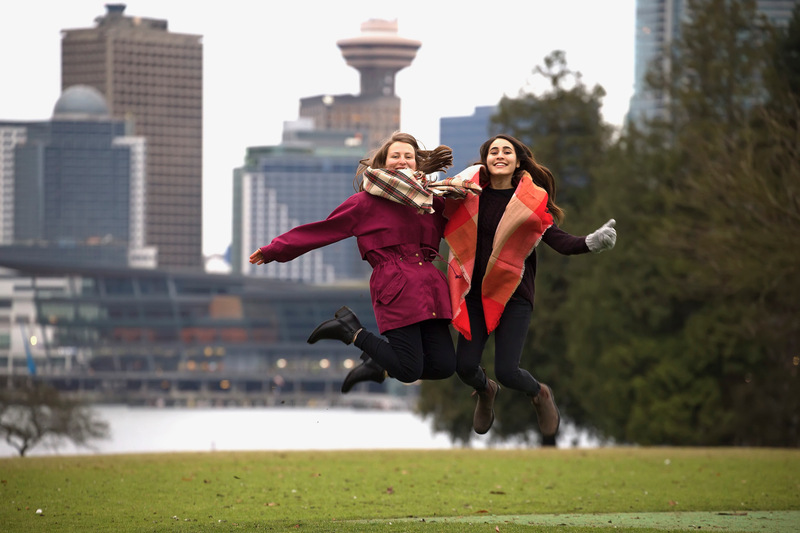 Each mentee is matched to an appropriate mentor, launching projects that will potentially change Vancouver, BC, and Canada. Climate Guides hopes to become a sustainable system of environmental growth and innovation that expands across Canada, and around the world. The launch of Climate Guides’ first mentorship cohort takes place on Saturday, April 7, 2018. The event is will gather 10 mentors and 10 mentees. We can anticipate many inspiring stories from the inaugural round of Climate Guides projects on social media. Later in September, Climate Guides will be attending the Global Climate Action Summit in San Francisco. This conference will bring people together from around the world to showcase climate action and inspire deeper commitments. Climate Guides are planning on getting there the same way Caroline gets to work every day - by bike. We are looking forward to hearing more about Caroline and Climate Guides. As a writer, this has been one of my favourite pieces to put together. This is not only because Caroline shared her fascinating adventure in sustainability, but also for the positivism with which she approaches climate change, and for the brightness of the future we will all share, because of people like her. Caroline Merner is a Young Women for Nature who first became involved with Nature Canada after the 2017 Canadian Parks Conference in Banff National Park, Alberta. 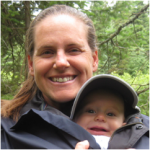 At this event, she heard Dawn Carr, Women of Nature and Project Leader Executive Director of the Canadian Parks Council, speak of the Young Nature Leadership Grant. Caroline would later became one of the six grant recipients in 2017. For more information about the Young Nature Leader Grant, please follow this link. For more information on Climate Guides, visit their website, and reach out to them through Facebook, Twitter, or Instagram! Nature Canada would like to thank the Women for Nature members for generously supporting this mentorship pilot. 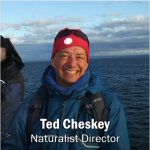 This post was written by Ted Cheskey, Naturalist Director at Nature Canada. The feature image above was taken by Claudio Timm. BirdLife International released a report recently about an alarming drop in numbers of the Endangered Species at its key stopover site at Tierra del Fuego at the tip of South America. The report revealed that January 2018 surveys of this area, led by Guy Morrison, renowned Canadian shorebird scientist and pioneer of shorebird conservation in the western hemisphere, found only 9,840 individuals, a 25% drop in the number of birds over the same period last year, and the lowest number ever recorded since the surveys began. [caption id="attachment_36300" align="alignright" width="300"] Horseshoe Crab, photo by Marc Peck. [/caption] It is speculated that the decline was driven by a bad year for Horseshoe Crab populations on the north Atlantic. Much of the Rufa Red Knot population migrates north in the month of May in a non-stop flight from Brazil to the Atlantic coast of the USA. Most birds take refuge on the beaches of Delaware Bay for a week or two, to take advantage of the billions of Horseshoe Crab eggs, freshly laid in the sands by female crabs emerging from the ocean, to restore their spent fat supplies, the fuel that powers their migration. In 2017, the crab numbers were low and the timing of their emergence delayed, meaning that there was less food at this key stopover when the migrating Knots needed it most. Many birds likely left Delaware Bay, en route to the Arctic with lower fat supplies, meaning that they arrived on their breeding grounds in the Canadian Arctic in a compromised state. The theory is that this compromised state results in lower reproductive output as the window for breeding is extremely short in the arctic and birds need to be in top health when they arrive on the breeding grounds to have a successful breeding season. This plummet in the population of the Rufa Red Knot, related to Horseshoe Crab population fluctuations, was already noted in the early 2000s. Human harvest of the crabs, and possibly climate change are implicated as likely reasons for the decline. A small population, like that of the Rufa Red Knot is vulnerable to extinction, especially because of its dependence on a relatively small number of sites during its mammoth 30,000 km annual migration. 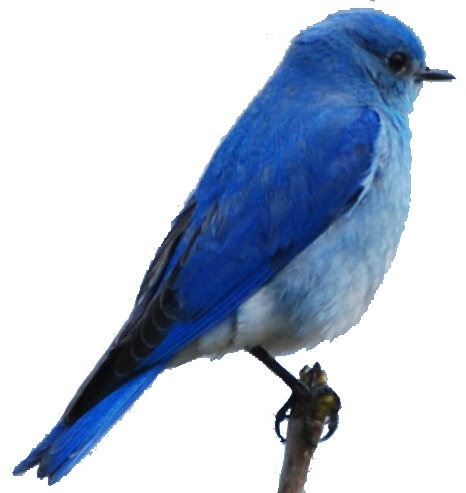 Even when something negative happens to one site, most or all of the birds can be impacted. Recognizing, protecting and managing key stopover sites in favour of these birds is essential for their survival. [caption id="attachment_36305" align="alignleft" width="300"] Lillian Trapper at Delaware Bay 2011[/caption] Here at Nature Canada we are trying to do our bit to help the Rufa Red Knot. 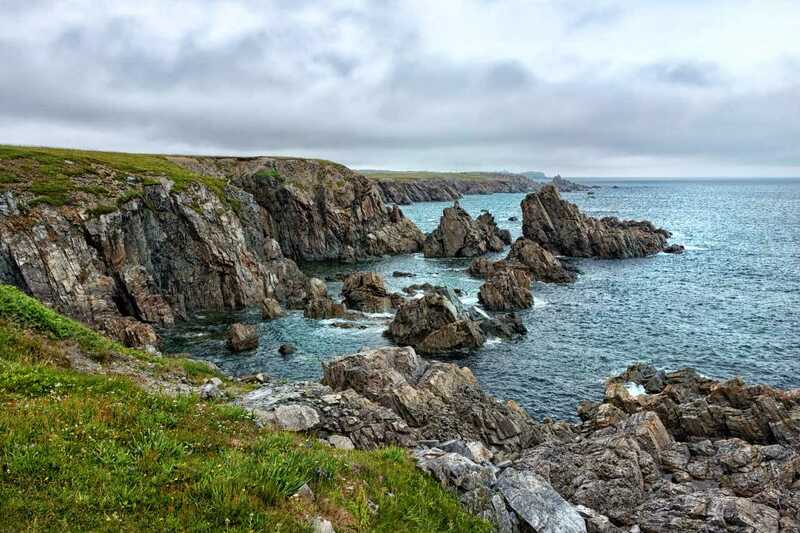 For example, Nature Canada, with the support of the Commission on Environmental Cooperation, supports the Moose Cree First Nation’s efforts to nominate and recognize a Western Hemisphere Reserve Network Site within their homelands along James Bay. Southern James Bay is of tremendous importance to the Rufa Red Knot, especially for the flight south from the breeding grounds. 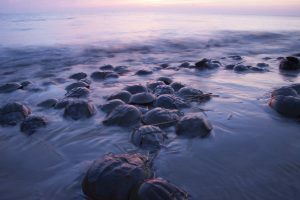 There are no Horseshoe Crabs in James Bay, but there are tiny clams and other invertebrates on which the Knots and hundreds of thousands of other shorebirds feast. Rufa Red Knots stop over along James Bay by the thousands starting in late July with the adults followed by juveniles from mid August to early September. After fattening up, they continue on to the Gulf of St. Lawrence or the Atlantic coast of Canada and the USA, before flying over the Atlantic to the north coast of South America, on route to Tierra del Fuego. The Moose Cree have become increasingly involved in shorebird conservation and monitoring since Lillian Trapper of the Moose Cree participated in WHSRN’s 25th anniversary celebration on Delaware Bay in 2011. As well as being one of the presenters at the official ceremony, Ms Trapper also participated in shorebird capture and banding on Delaware Bay, led by renowned Red Knot scientist and advocate Dr. Larry Niles. 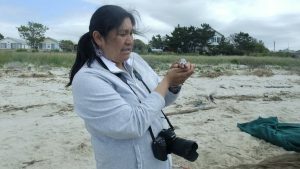 In the past few years, more Moose Cree have participated in summer shorebird camps on their homelands, organized by the Canadian Wildlife Service and in the spring at the Delaware Bay. 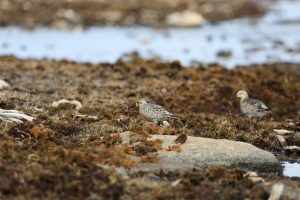 This involvement is building local interest and capacity to monitor shorebirds and promote conservation and awareness within their Nation at this extremely important site for the Knot, which is also of extreme importance to geese and other waterfowl that are a staple in the local Cree diet. 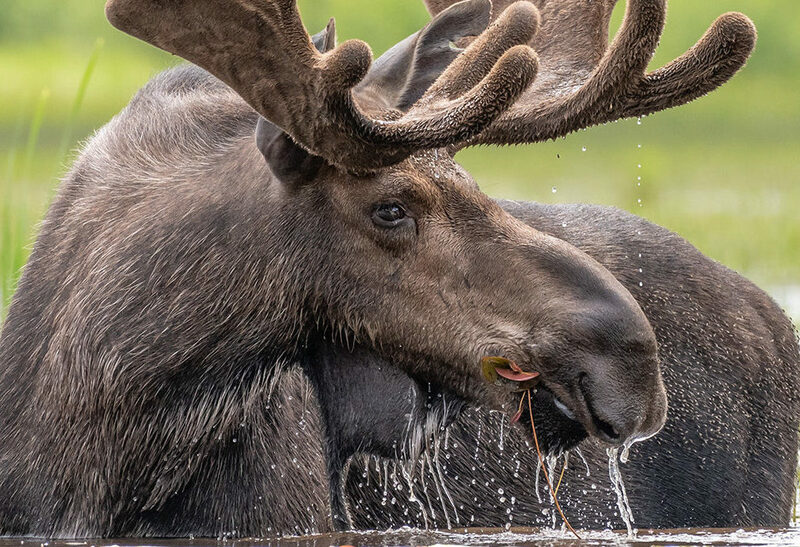 The Moose Cree’s interest and determination to ensure a healthy ecosystem for all wildlife and protect this and other areas in their homelands is inspiring. [caption id="attachment_36303" align="alignright" width="300"] Red Knots, photo by Paul Smith. [/caption] Since 2012 Nature Canada has also worked to protect shorebirds in partnership with the Cree Nation Government, the Cree Nation of Waskaganish, the Cree Trappers Association and the Eeyou Marine Region Wildlife Board, in the Eeyou Istchee region (James Bay Cree – Quebec) of James Bay thanks to financial support from Environment Canada’s Habitat Stewardship program (HSP). 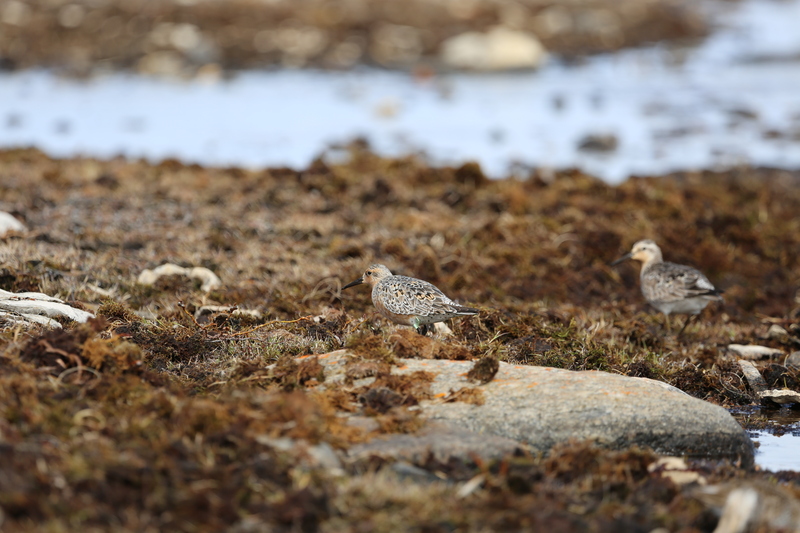 We have succeeded in proving the importance for shorebirds and species at risk, including the Rufa Red Knot of Rupert Bay, of the southeastern side of James Bay, including the islands within the homelands of the Cree Nation of Waskaganish. Much of this area is part of a new candidate Important Bird and Biodiversity Area (IBA). To learn more about the importance of James Bay Cree homelands to shorebirds, check out this short Youtube video. Join our 65,000 nature lovers raising their voices for nature! This blog was written by Nature Canada guest blogger Sherry Nigro. Most Canadians regard Nature as part of our collective identity - but where does our connection to Nature begin? 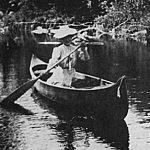 Much of the credit lies with great Canadian naturalists past and present. Their ability to celebrate, educate and advocate, for the geography, flora and fauna of Canada, has inspired generations of naturalists. They are explorers, scientists, teachers, environmentalists, policy makers, health care providers, spiritual leaders and artists. They are farmers, fishermen and hunters. They are parents, grandparents, friends and social clubs. 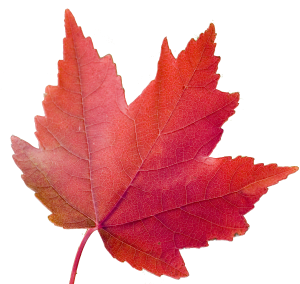 Here are a few of the Canadian naturalists who have inspired me. Indigenous peoples The wisdom of Canada's First Nations and Inuit has always been captivating to me- how they lived in harmony with the natural world based on their deep knowledge of plants and animals, the cycles of Nature and their respectful spirituality. Imagine the hardships of the prairie blizzard, the mosquito infested boreal forests, the heaving relentless oceans. Survival depended on their ability to create shelter and clothing, obtain food, and utilize the offerings of the natural world. And it depended on their ability to see beauty, find joy, and develop a sacred connection to Mother Earth. How fortunate we have been to have these wise stewards and environmental champions as part of our Canadian heritage. [caption id="attachment_36261" align="alignright" width="150"] David Suzuki, picture from the David Suzuki Foundation. 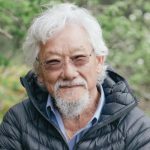 [/caption] David Suzuki He is a passionate environmentalist who came into my living room to explain the mysteries of Nature. 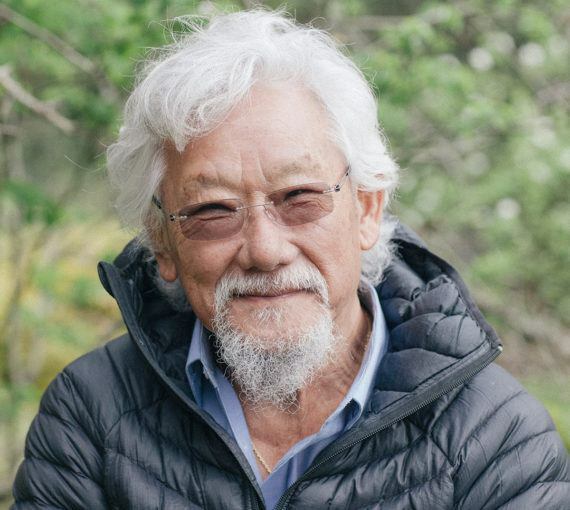 Named one of the greatest Canadians of all times in 2004, David Suzuki has inspired hundreds of thousands of Canadians to care about the natural world. David Thompson Perhaps most famous for his cartography skills in mapping the interior of the continent in the late 1700s, David Thompson's keen observational skills introduced the Canadian wilderness to Europeans. He was prolific with interest in astronomy (indigenous peoples knew him as Man Who Looks at Stars or Stargazer), plants, animals, birds and natural phenomenon. 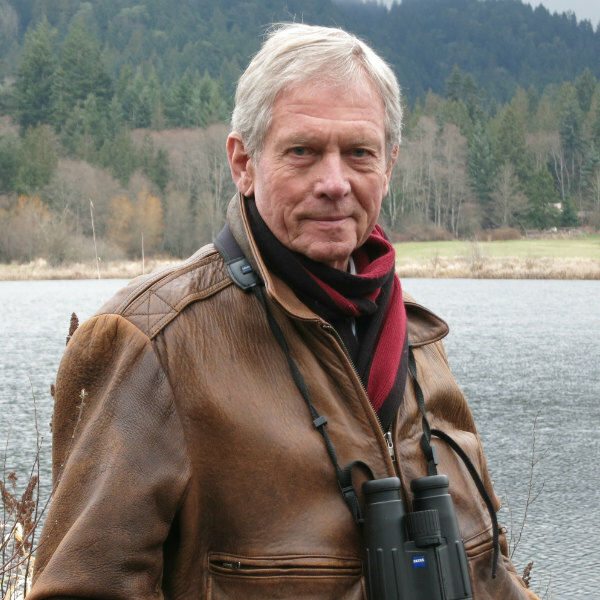 [caption id="attachment_36265" align="alignleft" width="150"] Robert Bateman, pictured by Acadia University. [/caption] Many of the early explorers were naturalists; Henry Kelsey, Alexander Mackenzie, Samuel Hearne, Anthony Henday left journals that document their travels detailing geographical, biological and sociological aspects of the great Canadian wilderness. [caption id="attachment_36617" align="alignright" width="150"] Mabel Frances Whittemore. 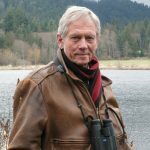 [/caption] Robert Bateman What David Suzuki did with television, Robert Bateman did with a paint brush. His detailed renderings of animals in their element have raised awareness of the strength, grace, ferocity and fragility found in Nature. Reginald Whittemore & Mabel Frances Reginald Whittemore founded what would eventually become Nature Canada in 1939 when he launched the magazine Canadian Nature. The magazine was published in honour of Reginald’s late wife, Mabel Frances — an educator and nature lover whose main goal in life was to share her passion for nature with others. Other great Canadian naturalists include Catherine Parr Trail (1802-1899) who was one of the first to document wildflowers and native plants. Leon Abel Provancher (1820-1892) was a Catholic priest and naturalist who is known as the father of Natural History in Canada. Ian McTaggart Cowan (1910-2010) is the father of Canadian Ecology. Jack Miner (1865-1944) used the practice of banding to better understand migratory birds. He established bird sanctuaries that still exist today. Louise de Kiriline Lawrence (1894-1992) became a renowned ornithologist. Of course I would be remiss if I didn't acknowledge the influence of my parents. Both were born of Saskatchewan homesteader stock and have a deep respect and love for Nature. They always made time to share their discoveries- the first crocus of the spring, moose tracks in the yard, an osprey nest, a spectacular sunset. There is research that shows that parents are instrumental in helping children connect to nature. Research aside, my relationship with Nature is very much related to my parents' values and beliefs. At a time when we worry that Canadians are losing touch with Nature, it is important to remember the great accomplishments of our naturalists, and how they engage, educate and inspire us, whether they are career environmentalists, weekend hobbyists or great bed time storytellers. Tell me, who inspires you? Waiser, Bill. 2016. A World We Have Lost: Saskatchewan before 1905. Fifth House Limited. Markham, Ontario. The David Suzuki Foundation. 2012. 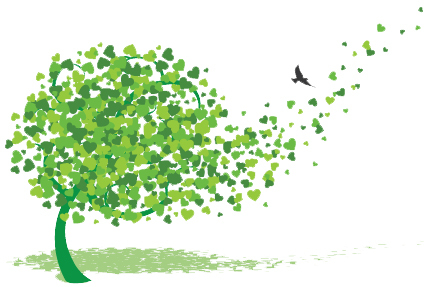 Youth Engagement with Nature and the Outdoors: a summary of survey findings. Your Voices for Nature Matter! [caption id="attachment_36239" align="alignleft" width="150"] Jodi Joy, the Director of Development and Conservation at Nature Canada. [/caption] Thank you to the thousands of Canadians like you who called for the government to invest in more wilderness protection for wildlife! Time and time again we are inspired by how deeply you care about nature and your commitment to protecting it. Using our collective voices is what makes a difference, and, as we saw with the 2018 Federal Budget, as a united front, we will influence change. Never doubt that your voice matters for wildlife and landscapes across Canada, and for all of us at Nature Canada! I always love receiving notes from our members because it reminds me how many Canadians are truly nurtured by nature, and the importance of nature for millions of lives across the country! Long-time members such as Dorothy from British-Columbia, make it clear to us why protecting nature is important. She exclaimed that “Caring for our natural environment is at the heart of the health and well-being of all Canadians. We need strong laws in place that put nature first.” And for the past few months we have been striving to do exactly that as we are making our voices heard and telling politicians to strengthen environmental laws across Canada. As Peter, a member since 1997, puts it plainly, “Inaction is the thief of time, start with small steps, they’ll lead to much larger, more ambitious commitments to protect nature.” Together, we have taken thousands of small steps forward for nature. There are many more steps to take, and your devoted support is something that will make the journey more enjoyable. “Caring for our natural environment is at the heart of the health and well-being of all Canadians. We need strong laws in place that put nature first.” Dorothy from BC, who has been a member since 1999. 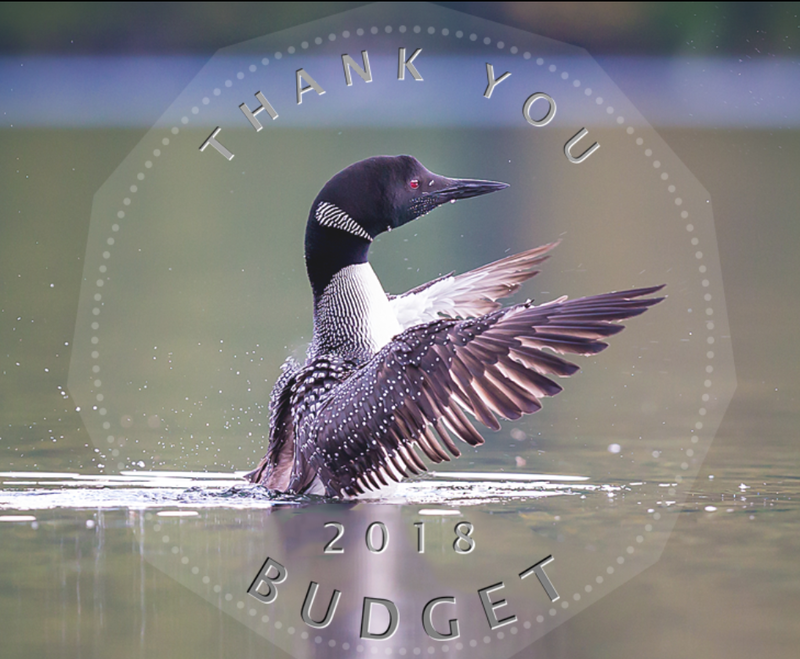 Thank you to everyone that called for the government to invest in more wilderness protection for wildlife! Never doubt that your voices matter for nature, from coast, to coast, to coast!